Sitting in my college psychology class, I remember hearing the phrase “to hold another’s thought” as a therapeutic tool; the simple act of really hearing someone’s story, emotions, beliefs. It’s not about our response, and certainly not about us giving advice or making it better. It’s simply about allowing the feelings to be expressed and held by another human being, and therefore validated. I loved that concept then and was recently reminded of it in regard to our children’s emotions. As the sweet, easy-going babies I met last spring when we opened have grown into toddlers, I’ve marveled with their parents about the emergence of emotions, opinions, desires and self-will. It’s the natural progression of development, but it can take us by surprise and certainly makes parenting more complex. I’ve recently taken to the work of infant specialist Magda Gerber and her approach to infants and young children that fully respects their developmental skills and emotions, being conscious about embracing where children are at and not hurrying them into the next skill or past a negative emotion. In her book, Your Self Confident Baby, Gerber writes about how uncomfortable adults seem to be with a crying child. We shake a toy, tell them they are OK, distract them from their emotion in an attempt to end the sadness. Not that we shouldn’t comfort our children, but maybe we can rethink these everyday experiences to allow our children the space and peace to feel their feelings. After Laurellai spent last Saturday with Daddy, I arrived home from work in the evening so that Doug could quickly scoot out for errands. As Laurellai watched Daddy’s car pull away she was sobbing, “I miss Daddy . . . I want Daddy”. Usually I would pick her up, bring her to her toys, pull her into play and ask her about her day, but this time “holding another’s thought” surfaced. I stayed where I was and let her cry at the door. After a minute she walked over to me in tears. I picked her up and said, “you’re sad Daddy left” as I hugged her. I didn’t try to distract her or make her feel better by explaining that he’d be back soon. I just let her cry. For those two minutes I had this unfamiliar sense of just being totally in the moment with her. It was probably the most genuine moment we have ever shared. Soon enough she asked me to read a book and the moment had passed. Interesting thought, crying when you’re sad is OK, even good for the soul and let’s be at peace with it. I once had the pleasure of listening to the Dalai Lama speak. He spoke of this very thing. I too had a self realization in that moment. Don’t try to fix it. In fact don’t say anything at all. Just be there and listen, truly listen. Don’t think about how you are going to respond, just allow the moment to be and then let it pass. Very powerful words. That’s really cool. Toddlers are such and huge bag of emotions but it does pass once you allow them the space to express. What I am starting to understand is although they are becoming more and more independent, doing all these amazing new things, they can’t necessarily communicate at the same speed. I agree with this idea completely. My wife and I even practiced “Crying It Out” despite protests of cruelty from the anonymous interwebs. Kids are resilient and coddling can be just as harmful as neglect. It’s up to a parent to decide what they are comfortable with (within reason of course). Did your child learn to sleep through the night? How is he or she now? He’s 7 months old now and ever since we executed the CIO method, he consistently sleeps for 11-12 hours a night, give or take 45 mins, not including tooth aches or other random occurrences. We realize we probably have a very laid-back, well-behaved baby, but when we see parents who refuse to try CIO (which isn’t fun but isn’t as torturous as the nay-sayers might have you believe) and suffer with a sleepless baby (and thus not sleeping themselves), it’s hard not to shrug with indifference. You can’t tell me my kid’s not better off having traded a week or two of tough love for getting months of solid nights of sleep. Janet, forgive me if I’ve missed a post, and I know that this is a guest post, but I see some comments that extrapolate this concept to include the “Cry It Out” method. Would you say the same thought applies there? I would think that what the author is speaking of is different — letting a toddler express her emotions and providing comfort and empathy when he or she requests it — versus letting an infant cry him/herself to sleep for an amount of time to be determined by the parents. I also did not think that the RIE approach included “Cry it Out,” but as I’m still learning about it, perhaps I was wrong. Thanks for your response, Janet! I guess I’m trying to understand whether this concept by Christine can be extended to putting an infant down while awake to sleep and allowing him or her to cry, as DadAndBuried did. That’s not how I interpreted it at all, so I’m wondering if I missed something. 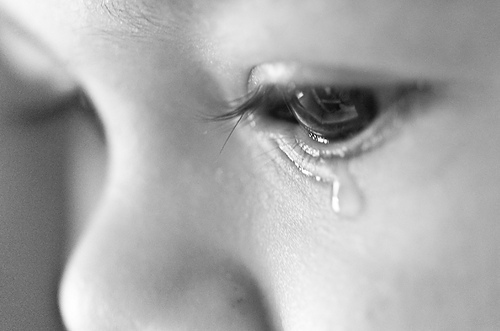 When we’re talking about an infant, is this crying before sleep expressing his or her emotions, or his or her needs? When does a parent know when to intervene? Or do they? I understand that some babies do need to cry before they sleep, but when does one tread into the territory of ignoring their needs? By “an amount of time determined by the parents,” I meant that some parents who use “Cry it Out” or another sleep-training method that suggests allowing a baby to cry him or herself to sleep include preset times. For example, let the baby cry for five minutes before returning to the room one night, the next night extend it to 10 minutes, et cetera. I know not all parents who follow these methods adhere to time frames, but I have also heard of parents whose babies have cried for an hour before falling asleep. For me I would consider that excessive. I agree that parents are not in control of a child’s emotions and should support them. “When we’re talking about an infant, is this crying before sleep expressing his or her emotions, or his or her needs?” Certainly this is the big question… and it is a worthy challenge for parents to try to figure this out. If the baby has been fed, burped, changed and is not hot or cold, she may be crying because of digestive issues or to “de-stress” after a stimulating day. 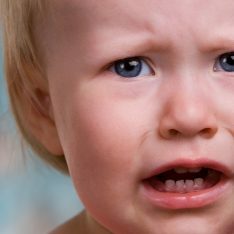 There are many, MANY parents (and even experts) who believe that babies should not cry and that it is the parent’s responsibility to make babies stop crying. I couldn’t disagree more with that point of view. I believe in doing our best to help, but not when it veers into stifling the baby because we don’t want to hear the crying anymore or are afraid we’re doing “damage”. There is so much fear, shame and guilt around babies crying and LOTS of bogus information passed around. This is truly unfortunate for babies and their parents. I didn’t mean to start a controversy for Janet! I definitely went beyond her post and ventured into Cry It Out territory on my own, but I think the theme is similar. My wife and I did the CIO thing, as I’ve mentioned before, and he sleeps great. There are nights he cries a little more than usual at the start, or nights when he wakes up crying, and my wife and I feel we have become pretty good judges of our son’s distress that we can tell if he really needs a cuddle or a change or some food – if it gets to that point (and we never wait more than 10 mins to make that decision), we take action. But often something has just startled him awake and he’s back to sleep on his own in just a few short minutes. No harm no foul. Now that our son is a toddler, we are starting to figure out how to discipline him. I think of letting him Cry It Out as similar to the way we sometimes now have to ignore him when he throws a tantrum. He’s just acting out, for attention, and if you constantly indulge him, he’ll never learn to abandon those ploys. 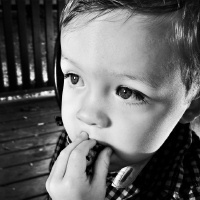 You might have a kid throwing tantrums when he’s 20! It’s about setting limits. Reasonable ones. No one’s talking about abuse in ANY form. Hate to keep pimping my stuff, but I enjoy these conversations and invite you all to discuss these issues on http://www.dadandburied.com too! Hmmm… I haven’t read your discipline advice, but doubt I would agree with it because I don’t see staying present during crying and tantrums as indulgence in the least. Giving in to a child’s demands because he has a tantrum is indulgence, but ignoring the child is emotional desertion, in my opinion. Children need to know that ALL their feelings are perfectly okay with us for them to express. Ignoring the child (just like “shushing”, distracting and saying “you’re okay”) sends him the message that his feelings are unacceptable, which is the exact opposite of what this post is about. Ignoring is perhaps too harsh a term. You let the kid know you realize he’s frustrated and then you tell him to explain what he wants. But I think it’s nonsense to equate every other parenting reaction with something as extreme as “emotional desertion.” If someone ever accused me of emotionally deserting my child – especially on the basis of using ‘Cry It Out’ or “ignoring” a tantrum, not only would they be 100% wrong, they would be told so in no uncertain terms. Everyone uses different terms and means different things. There’s a world of gray in between indulgence and “emotional desertion”, and between “CIO” and neglect. Most parents – and maybe I’m being naive, or optimistic – but most parents know the difference between trying a new technique and doing something harmful to their kids. Outside of extreme cases, pretending you know best what works for someone else’s kids is presumptive and arrogant and usually wrong. Because there is no guide book, and every family is different. Thank you for the clarification that what DadandBuried refers to is solely his own interpretation and not some element of RIE that I’d missed. Janet, I absolutely agree that crying should not be “hushed” or suppressed; my todder is free to express her feelings. And that includes during tantrums, which I do not ignore. I sit nearby and let her have them. That’s not indulgence; that’s acknowledging her feelings and letting her know that I’m there for her when she’s ready. It does not mean I “give in” to what caused the tantrum in the first place…which in my child’s case seems to be more about frustration than anything else. DadandBuried, I’ll have to respectfully decline to read your advice. I did not practice any form of CIO (and all of us have been sleeping through the night since eight months), nor would I characterize my style at any point as “tough love.” So I have a feeling that we have very different approaches to parenting. I had to read this sentence three times before I worked out “them” referred to pacifiers and not your child! Janet, I agree with you that ignoring a child and their tantrums is emotional desertion. It breaks my heart that a seven month old had previously done CIO in their sleep….Poor baby. Thank you for going there with CIO, Dadandburied. I think it’s incredibly important to realize that CIO is desertion and is NOT what is meant by holding the space. Honestly, Dadandburied, I read the blog you linked and everything you wrote was from your point of view, not your child’s. yYou were only concerned about YOUR sleep, and YOUR reaction to his cries…it’s a very unhealthy approach to parenting. Thank you yet again for another wonderful blog. Our son – now 4 – was adopted as a big baby. We avoided him crying as a matter for course for the few weeks. Always reassuring him ‘it’s ok’ ‘you are safe’ and so on. But I soon learned to ‘enjoy’ his crying. In the beginning I would speak to him as he cried. In my own mind making sense of his distress. ‘Are you sad because …?’ ‘Outch that must have hurt’ etc. But as time has passed I just hold him (at 4 if he will let me that is) while he wails. He always has his reasons for his upset. Sometimes he just needs to let it all out. I do agree with all the observations about feeling very close to him when just being present in his times of big uncontainable emotions. Perhaps a guilty secret but I do enjoy being there when he cries. And it get easier to just listen. Not to offer. Though it did take some practice.